Five years later, it's the violent rattling of the ground moments before the World Trade Center's South Tower fell, and the subsequent pulverized concrete that blanketed him like snowfall that keeps Gary Welz raising questions about just what he survived on Sept. 11, 2001. "I felt what was like an earthquake — and I've been in earthquakes before — just before the South Tower fell," recalls Welz, an adjunct math lecturer at John Jay Criminal College and Fordham University. Until recently, Welz was a member of Scholars for 9/11 Truth, a group of over 300 professionals that questions the government's explanation of the attacks. "The official explanation that I've heard doesn't make sense because it doesn't explain why I heard and felt an explosion before the South Tower fell and why the concrete was pulverized," said Welz. Welz is among the growing ranks of conspiracy theorists who question the official explanation of not only the Sept. 11 attacks but virtually every major news story in publication: from FEMA's response after Hurricane Katrina to Cory Liddle's plane crash into a Manhattan high rise to the birth of Tom Cruise and Katie Holmes' baby, Suri. "There has certainly been a growth in conspiracy theories since 9/11," says Michael Barkun, a political science professor at Syracuse University and author of "A Culture of Conspiracy: Apocalyptic Visions in Contemporary America." "But looking back, there has been a growth over a longer period of time, from the late '80s or early '90s." Barkun credits the end of the Cold War with destroying our vision of the world being neatly divided into good and evil. What conspiracy theorists do, he says, is provide a simple view of an increasingly muddled, dangerous world. The actions of U.S. administrations in recent American history have done nothing to dissuade conspiracy theorists. The details of the 1980s Iran-Contra affair, after all, read like an implausible conspiracy theorist's dream. And while less convoluted than Iran-Contra, the Watergate scandal provides fodder too. The Bush administration, it can be argued, has encouraged a new generation of theorists after implying there was a link between Saddam Hussein and the 9/11 attacks — which President Bush later shot down — and insisting Iraq was riddled with weapons of mass destruction. Whether part of a cyclical pattern of history or a result of recent governing, skepticism toward the federal government has mushroomed. An eye-opening Scripps Howard/Ohio University poll this year found that out of 1,000 adults surveyed, 36 percent believe it is likely federal officials were involved in 9/11 or did nothing to stop it because they wanted the United States to go to war in the Middle East. And 16 percent of Americans believe that secretly planted explosives brought down the twin towers. "There has been a slope upwards in conspiracy theories in the last two years and part of the explanation is a disillusion with the Bush administration and the war in Iraq," said Mark Fenster, a law professor at the University of Florida and author of "Conspiracy Theories: Secrets and Power in American Culture." "As the war goes awry, people are more open to conspiracy theories." Although he is doubtful of the official 9/11 story, Welz, the math lecturer, does not consider himself a conspiracy theorist. He is leery of being grouped with people who are easily marginalized for their views. 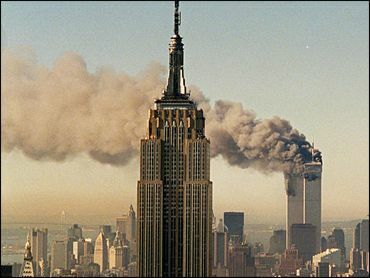 He broke from Scholars for 9/11 Truth in December when founder Steven Jones, a former professor of physics at Brigham Young University, did the same after other prominent members of Scholars began promoting wacky explanations for the fall of the twin towers. "Like Jones, I don't want to be dismissed as a conspiracy nut, but how do I square my experience with the official story?" asked Welz. The rise of conspiracy theories has mirrored the expansion of the Internet, where the most fantastic theories zip through space and can reach millions of viewers in seconds. Without editors or filters, serious documentaries battle for hits and viewers with wacky entertainment. For example, testaments claiming that Suri Cruise is an alien, or that the twin towers were brought down by space ships or that the U.S. military caused the Indian Ocean tsunamis using electromagnetic pulse technology. Welz' own skepticism toward 9/11, while based on personal experience, has been reinforced by broadcast quality, highly-polished films on the Internet such as "9/11 Mysteries." There are hundreds of others out there. One such film is "Loose Change." Made by Dylan Avery and Korey Rowe, 20-somethings from upstate New York, the film is a polished, albeit journalistically flawed, attempt to poke holes in the U.S. government's explanation and response to the Sept. 11 attacks on New York and the Pentagon. "Loose Change" began as a fictional project. But as Avery began to dig deeper into the endeavor and as Rowe, serving as a soldier for the U.S. Army in Afghanistan and Iraq, began to see what he calls "government corruption and waste" firsthand, the film morphed into highly stylized documentary that questions virtually every aspect of the official 9/11 story. "Loose Change" has been downloaded over 30 million times in 50 countries, says Rowe, and a final cut of the film will appear in theaters in the spring. Neither this film nor countless others online has fully convinced Welz to back an opposing telling of the tragedy. He stresses that he is doubtful of the official story but that he doesn't necessarily believe there was a government conspiracy. It's at least as plausible, he says, that the towers were brought down by a controlled demolition as they were by the official explanation. "As an educated person and as an eyewitness — and as a victim — it's important for me to say, 'I have questions.' "